Most organisations today will boast they’re on a transformation journey, prompted by digital disruption and led by technological innovation. But just banking on a digital strategy and new platform won’t help anyone keep up with the emerging era of intelligence and experience that’s upon us. Business-wide transformation is order, and superior customer engagement the end game. How customers are shifting from digital to customer led transformation is the key theme that will be tackled at our upcoming CIO-CMO Exchange on February 27 at the Hilton in Auckland. 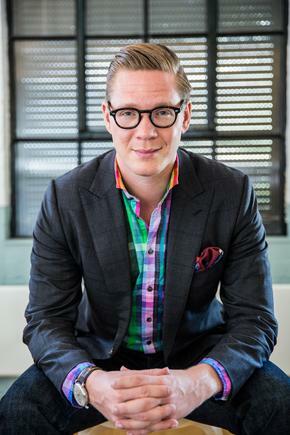 Global futurist and innovation strategist, Anders Sorman-Nilsson will deliver the keynote on ‘Seamless: A Hero's Journey of Digital Disruption, Adaptation and Human Transformation’. This will be followed by an industry panel discussion including Dominic Quin, director digital transformation , Fonterra, and Kevin Angland, general manager digital services, Mercury. The breakfast forum is open to CMOs and marketing directors, customer experience leaders, CIOs, CTOs, IT directors and digital leaders. Click here to register for the event. The CIO-CMO Exchange is organised jointly by CIO and CMO magazines. The forum kicked off to great acclaim in Sydney in 2014, and was followed by successful 2015 and 2016 events in Melbourne and Sydney, which focused on how CIOs and CMOs come to grips with digital transformation. The breakfast forum was held in Auckland in 2016, and will once again bring the CIO and CMO audiences together in this month’s event.